Dog bites have been increasingly more common in recent years throughout Illinois, particularly in cities like Chicago. Cities face space and budget constraints, and as the populations of people and dogs continue to grow, the rate of bites increases. 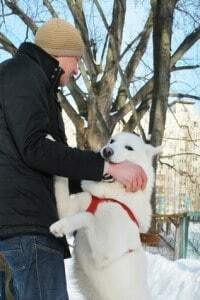 Fortunately, the vast majority of dog bites in Chicago do not result in death; nevertheless, infected dog bites are quite common and extremely dangerous. Since dogs lick their wounds, it is a common belief that their saliva includes a healing factor and that dog mouths in general are cleaner than human mouths. None of that is true, however. In fact, the average dog mouth is quite filthy, and all of the bacteria and microorganisms that reside there can transmit to the human during the process of being bit. It is not necessary for the bacteria and microorganisms to transfer to the blood stream. In actuality, infection generally occurs due to pasteurellosis, which is infection that develops in the tissue and happens right at the site of the bite. Pasteurellosis is not limited to the surface tissue, though, and can spread to muscle tissues and even bone. The most common types of infections that occur due to dog bites are staph and strep inspections. The good news here is that these kinds of infections are usually dealt with easily if handled immediately. Left unchecked, however, they can both spread quickly and cause significant damage and even death. Perhaps the most dangerous result of an infected dog bite is capnocytophaga. Such infection is rare, but when it does occur, the afflicted person can pass very fast. When a medical professional identifies capnocytophaga in a person, it usually involves several specialists and becomes a race against the clock. In Chicago, three out of every 10 people who contract capnocytophaga die. If a dog bite occurs, the actions you take could prevent it from becoming an infected dog bite. The first step is to irrigate the wound, which will usually prevent any infection. The person administering the care should wear gloves at all times so that there is no chance of contracting an infection themselves. Dress the wound, and if it is actively bleeding, apply pressure. Use your best judgment. If the wound is severe, call 9-1-1 immediately, and then attend to the victim. Otherwise, determine if the victim needs to go to the hospital after following the steps above. If you do not seek medical attention, monitor the wound for any signs of infection for the next 24 to 48 hours. The state of Illinois requires that all dog owners register their pets and be responsible for them. If a dog bite occurs, then it is the pet owner’s legal responsibility to cover medical expenses as well as any damages, including pain and suffering. Such agreements are often settled out of court, but it usually does require a lawyer and sometimes does go to court. Keep in mind that the law cannot afford the same protection if the dog is abandoned or otherwise not owned. Nevertheless, there may steps that you can take to claim some form of reimbursement, whether it be through an insurance company, the government or some other organization. If you or someone in your family has been bitten by a dog, then your best course of action is to contact a lawyer to represent you immediately. Rosenfeld Injury Lawyers LLC knows the in's and out's of Illinois tort law as it pertains to dog bites and will be able to protect your rights and ensure your best interests. Contact us today. For additional information related to Illinois dog bite law, visit our dog bite FAQ page.